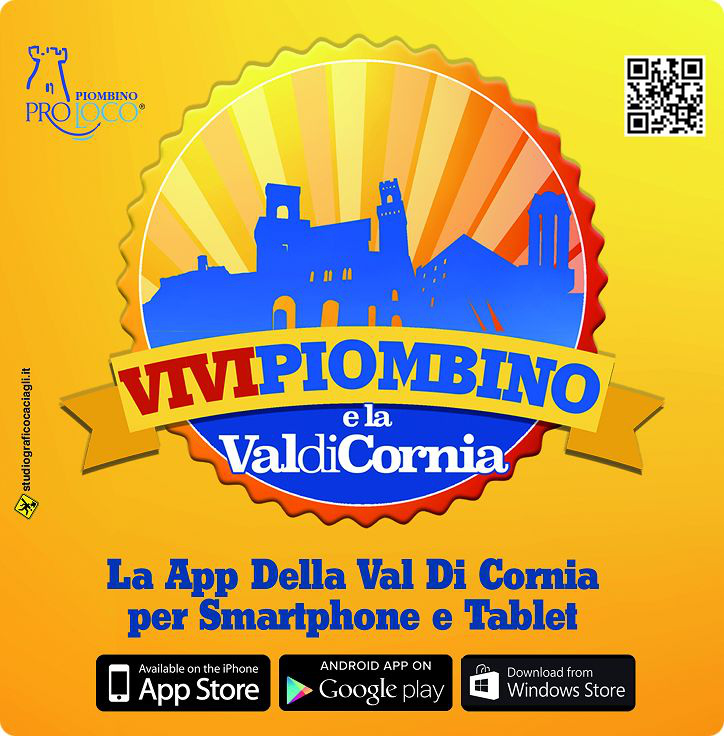 Vivi Piombino e la Val di Cornia is a project sponsored by Pro Loco Piombino, born in June 2015, which includes an app for smartphones, a website and a facebook page. It is a tour guide not to miss any of wonders, historic and scenic, in our area and, at the same time, is an excellent tool to publicize the various activities of the Val di Cornia: shops, restaurants, beaches, accommodation, local facilities, services , professionals, and anyone who wants to be better known. The municipalities of the territory and the Val di Cornia were very willing to cooperate by providing information material. We advertise not only the various events organized in the area but also the promotions of commercial activities taking informed users with "push notifications", directly to your smartphone. The App is free for Android (Google Play), iOS (App Store) and Windows Phone.